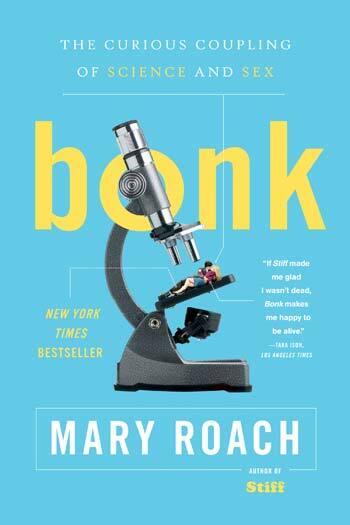 I want to be Mary Roach. 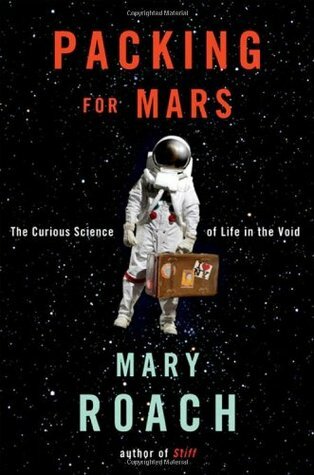 For this book alone she has managed to find excuses to travel to Japan, Russia, and Texas, speak to astronauts and waste specialists, ride a parabolic plane flight, and sky-dive indoors in a vertical wind tunnel. She has also tasted her own pee, which I am slightly less jealous of. And instead of bragging, she condenses her experiences, interviews, and endless historical and scientific research into a wonderfully entertaining, intelligent, and, of course, funny novel; so you can’t even hate her properly. Mars is written in such a way that you can read any chapter in any order, which is nice, but gets frustrating if you’re the predictable type who reads books straight through. Retired Air Force Colonel Dan Fulgham is introduced in an identical fashion at least 3 separate times; enough that I didn’t have to look up his name or title to type this sentence. There is a good mix of hard science and more indirect tangents explained thoroughly enough for newbies, but briefly enough that those with a (very) basic knowledge of physics and engineering don’t get bored. For a journalism student, the book has an unexpected use: it gives a rather interesting insight into the workings of a professional journalist as she navigates through contacts, archives, and PR people, particularly when tracing incorrect data, stories, and rumours. There’s a horrible, nit-picky part of me that can’t abide by this. Rephrase, find another source, Google the damn quote. On the other hand, she is a very comedic, accessible writer, and you can readily imagine the epic search for that first page ending in this little nugget of frustration. The last chapter is a nice inspirational little essay on the “point” of progress. One standout suggestion: funding the enormous cost of a Mars mission not through taxpayer dollars, but through the media – what network wouldn’t pay to see the elimination of candidate after candidate until the final astronaut contestants are chosen? Jesus, what an idea. Using reality TV for good. Overall, recommended, of course. I enjoyed this one just as much as Stiff, and more than Bonk and Spook, which, while good fun, just didn’t keep me as entertained, amused, and full of wonder. P.S. If you’re interested in more Roach, check out her website, or the interview pajiba.com did with her when Bonk came out.